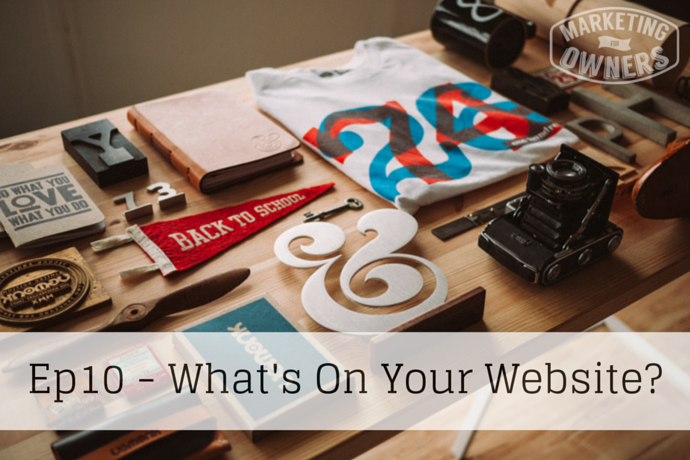 What’s on your website? Jon again here. I live in Deal so I’m back down on the beach facing the other way, you can see the pier up there. Again, a bit colder on Friday, but still nice. The wind’s not too bad so I managed to record this outside. Your website is important for you. The other day I said about being in control of it. Do you know what content it’s got? I suggest that you have a look at it because there are pages that are important. Ones such as the homepage, obvious. You can have a contact page, obvious. And you can have an about us page, again, obvious. But what’s in it? Now, you’re also going to have pages possibly about your product, about your services, but what does it say? What does it say about you? Does it show you in a good light? What are the images like? The quality of images these days with Pinterest, Instagram, Facebook are so important and it’s easy to edit. You can take an image with your phone or with any camera, get someone else to take them if you haven’t got an iPhone or smart phone. Get someone at work to take one. Take scenes around your factory, your services, out with a customer, anything. And then just edit them in something like, Picmonkey.com. Or if you want to add text, you want to brighten up your images, improves them, go to Canva.com. So brighten up your website with large images people can look at, people can share. Now, the other content about your products, what are you saying about your products? Are you saying what’s good about your products? Are you putting it in a way that the customer wants to read? What’s in it for them? What’s good for them? What’s the advantage? Not what’s good for you, the supplier. How is it going to help them? How is it going to solve their problem? Are you talking about your services? Are you talking about how you deliver? Are you waffling on like I do? Or are you actually keeping it important, keeping it on topic? Do you have a blog? Are you one of those wonderful websites I see all the time that has a section that says, “Latest News” when your latest news was from about two weeks after the website was developed which is two years ago. If you’re going to have a blog, you need to keep it updated. If you’re going to talk about latest news, it has to be current and it has to be news that’s interesting to the customer, not news that’s interesting to you. They are looking for information. They’re not looking to buy anything. When they search in Google, they’re looking for information about a product. Now, if your site comes up, they come along to your website to read about the product. They get to like you, they get to know you. Then, they get to trust you. Then, they may, if they’re looking to actually buy, contact you and ask you about your services. So this is important. Your website is not an online brochure. It needs to work. It needs to do its job. So this weekend’s challenge is to go and look at your website. Please tell me you’ve got a website. If you haven’t, then look at our sponsor at the end. Are there any images at all? Are the images tiny, little things? Do they make you look professional? Do they make you look worth the money you charge? If not, it’s time for a change and that’s not going to be very hard because I’m going to show you how. Honestly, I’m not a techie. It’s not difficult especially with a site like Rainmaker or WordPress, and we can show you how to do it for free or very cheaply but being absolutely professional. So write out those pages, list them out and then critique them. And decide what you’d like to change. That is your weekend challenge. You can ask me any questions, you can email when you come across the bad answers or good answers. You can look at your website, you might think it’s wonderful. Great. As long as it’s being reviewed. Come back Monday, look at it again and then let’s move on to the next thing and get it updated. Let’s get some impressive looking pictures on that website. Anyway, I did mention earlier Rainmaker. MarketingForOwners.com runs on the Rainmaker platform. It has everything you can ever need to create a website. It has videos, you can host a podcast on it. It’s got a membership side, it’s got affiliate programs. It’s got things galore, everything you ever might need and many themes that are pre-built templates that you can just slot your pictures into. Please go and have a look. It can do wonders for you. And it’s surprisingly low-priced. Anyway, have yourself a great weekend! I look forward to seeing you on Monday and we’ll have more tips to discuss.